Description: Book has a little very light bumping to tail of spine. Faint indentation line to front end matter that is no longer visible by title page. Pages are free of marks and binding is sound. 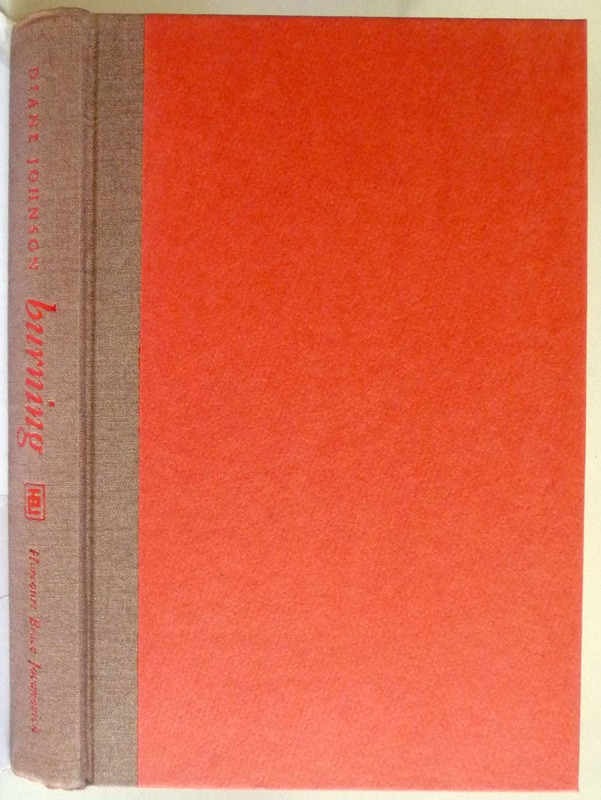 Dust jacket has a little wear with tiny chips to head and tail of spine as well as fore edge corners. Not price clipped. DJ is in a protective cover. 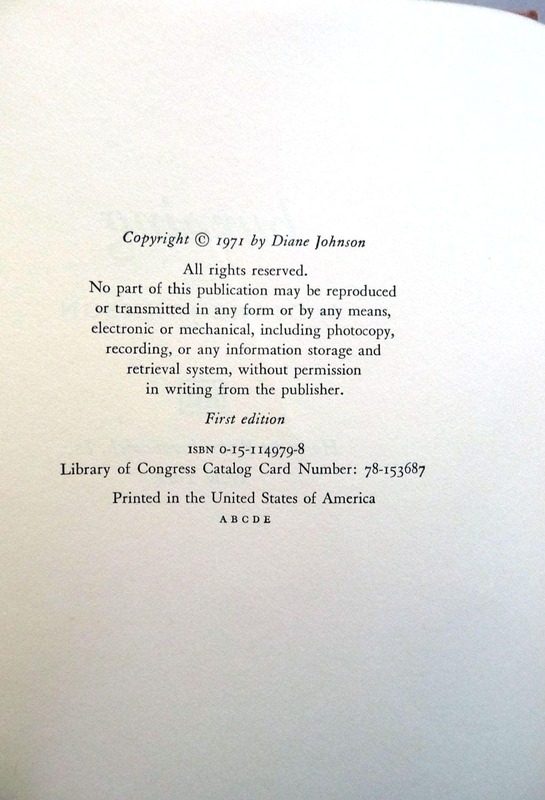 Stated first edition with no additional printings indicated, 1971. Johnson co-wrote the screenplay for *The Shining* with director Stanley Kubrick. She later went on to be a National Book Award finalist for her book, Le Divorce. Bingo Edwards, the New Age wife of an orthopedic surgeon, lives a sheltered and eccentric life raising chickens and box turtles. Her harmonious existence is disrupted when the local fire department arrives to remove the hazardous backyard privacy hedges which have protected her from the outside world. 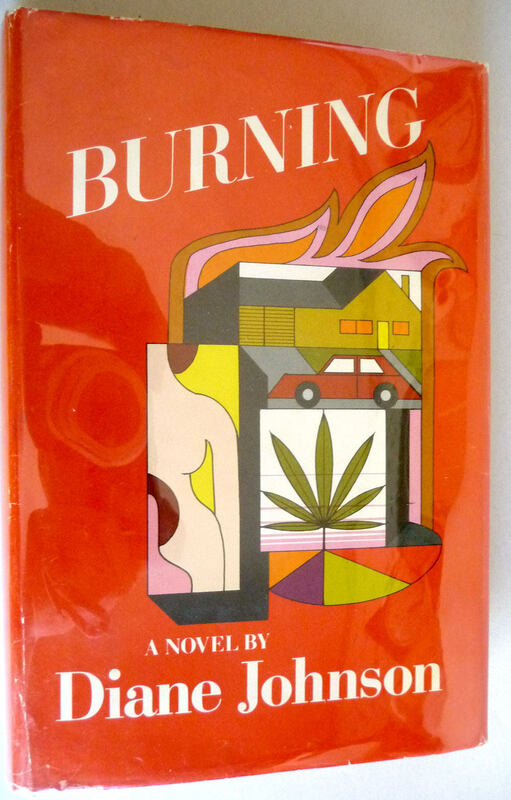 Uprooting the hedges exposes Bingo all too well to her neighbors, an unconventional Beverly Hills psychiatrist and his eccentric patients. She also finds herself in the company of strangers, particularly a magnificently handsome fireman who has made it his personal crusade to "service" many of the housewives on Bellagio Road. As the situation heats up for everyone, an enormous fire threatens to consume Bel Air and in the process, destroy Bingo.